Since 2002, when as a young journalist I was assigned to cover a multiday endurance race in Telluride, Colo., until February of this past year, when I was a member of Team GearJunkie.com in the weeklong Wenger Patagonian Expedition Race, the strange sport of adventure racing has rarely failed to intrigue. Here is an elaborate and mind-bending team sport where your body is thrashed for hours or even days on end. You trek in the woods and mountains, kayak wilderness lakes and whitewater, mountain bike on singletrack trails, and squint at maps to devise strategy on a literal choose-your-own-adventure course through terrain few people ever see. I admit it, I am in love with the sport. Adventure racing is a great fit for an aerobic/endurance-minded gear junkie like myself who doesn’t mind getting dirty and suffering a bit in the heat of a race. 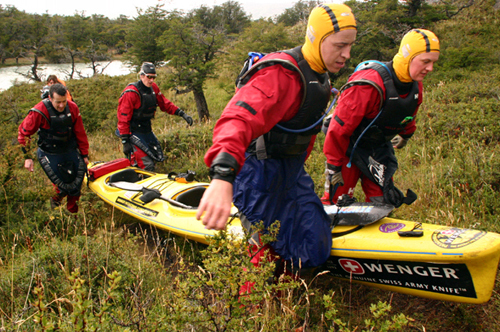 Since my initiation in 2002, I have participated in dozens of events, including multiday races the likes of Primal Quest and the aforementioned Wenger Patagonian Race, an event through southern Chile that finished near the tip of the South American continent. As a writer and journalist, I have covered the sport in dozens of stories, including live blog posts from events and magazine feature articles. As a contributor to the New York Times, I covered trends in the sport in a 2007 article and penned a first-person account of a tough and hypothermic springtime race in the Monongahela National Forest of West Virginia. But as with most any love story, there are some sour grapes beneath the rosy veneer. This sport I have so much passion for — a sport that has the potential to be the greatest endurance game in the world! — so often disappoints. It is a (sometimes overly) complex sport, a million pieces moving at once, and as such there is the potential for lots of mistakes or at least some overlooking, both by race organizers and the racers themselves. Maybe I’m a whiner, but often after a race I find myself somewhat less than enthusiastic about one or several decisions made by a race director. “If they had only [fill in the blank] it would have been a perfect course. . .”. But the bullet points below are not about me. I have compiled a list of brief concerns and suggestions for anyone in the adventure-racing world, especially event organizers and race directors. The sport, while healthy as a niche pursuit, rarely obtains mainstream recognition. Sure, it’s been on network TV and ESPN. Indeed, it was Mark Burnett, the Emmy-Award-winning television producer, who created the popular Eco-Challenge race and its accompanying reality-TV series in the mid 1990s. 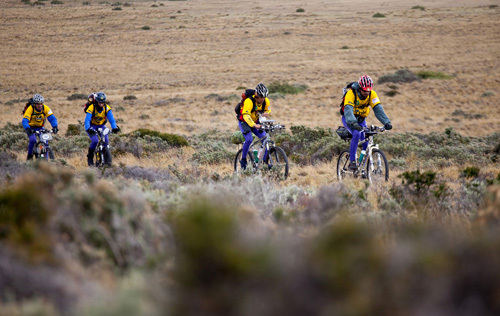 But today, despite robust races all around the country and some buzz from things like the Checkpoint Tracker Race Series, adventure racing still lingers in outdoors purgatory. The reason for its dogging obscurity? 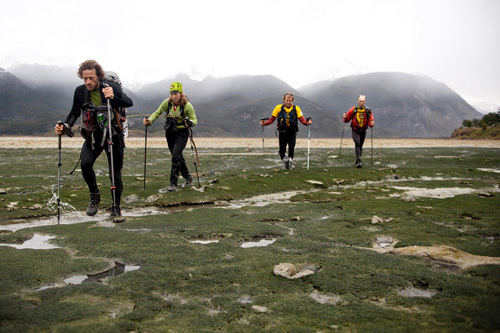 The sport is all but inaccessible to the common outdoors person. It is hard to understand and hard to define. The needed skill set for participation is immense. And there is almost zero potential on the spectator front. If we — we being the adventure racing “community” — want adventure racing to grow and remain healthy as a sport, we need to get more people involved. We need some new blood, some new competition. Most of all, we need some new friends. Crazy loonies who want to swim through swamps to save a mile on a trek, or sleep in a cave, four grown humans huddled together for warmth like animals in the night. You know the drill. 1. 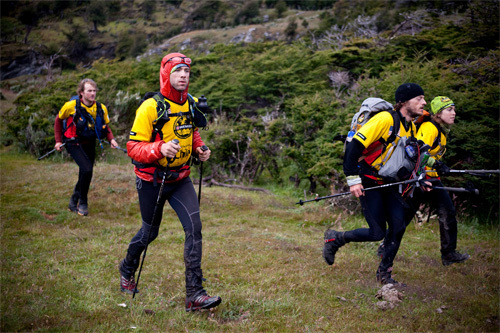 Quit calling it ‘Adventure Racing.’ I’m sorry, but that is a horrible and dorky name for a sport. It is vague and weird, conjuring something gallivanting or juvenile, never anything serious or cool. My suggestion: Rename the sport, plain and simple, as just “AR.” Yes, go with the acronym we all already employ. Make that more mainstream. Use it in your race names, “The Black Canyon AR,” or “Sea-to-Summit AR.” Whatever. At least I won’t feel odd telling people I am into “adventure racing” anymore. I swear, I just get the funniest looks. . . .
2. Allow GPS. “No GPS devices” is a common rule in AR. But really, who cares? For experienced racers, a GPS would offer few advantages. The flip side is that for many newbies — or anyone considering a dabble in the sport — a GPS might inspire confidence and increase interest or participation. (Demand map and compass skills, to be sure, so people don’t get lost when their batteries die!) For me, I would maybe take a GPS unit on an expedition-length race in deep wilderness. I may or may not use it. But for common navigation in a race — including intermediate or advanced orienteering — a map and compass is always going to be faster anyway. 3. Vet the Course. Have a third-party expert evaluate and run the course for a thorough vetting. Pay the money. Get it done. 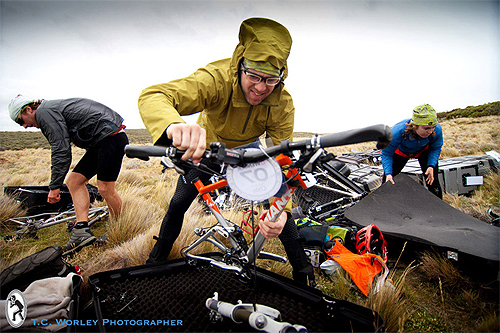 Hire an experienced racer or someone from an orienteering club. Make 110% sure the maps are right and the checkpoints are where they need to be. Nuf said. 4. Simplify the Sport. I’m not saying to take out any of the adventure aspect. But make the sport — the course, the transition areas, the “mandatory gear” rules, etc. — simpler and easier to digest. I appreciate the strategy part of AR as much as anyone. But with a multitude of rules, special considerations, and often open-ended instructions about any number of details during an event, the mind game of an adventure race can change quickly from fun to unnecessary headache when a race director gets too clever. 5. No UTMs. Unless it’s really necessary and the maps are not marked, please no UTM plotting! It is a chore and a silly skill to be tested on. Also, if a race director misplaces a single digit on a UTM sheet, which is not unheard of, a big wrench is introduced into the game. 6. Boat Choice. Racers get to pick their bikes. Why not their boats, too? Some races allow this. More common, the field is stuck with the same (often ill-performing) inflatable kayaks or heavy, aluminum-sided rental canoes. 7. Whitewater, Please! Rapids, chutes, and eddies are soooo much more “adventurous” than flat water. Lakes, yeah they are OK. Just sayin’. 8. Good Maps. Please, please give us good maps, including sharp printing, contour lines, a scale, grids, and accurate representation. USGS is fine in some places. Satellite photos, too, depending on the terrain. But 1:100,000 gazetteer print-outs, or Google maps extrapolated for orienteering use? Dear Lord, please no.